Check out these amazing looks from the Ksenia Schnaider Cruise 2018 collection. 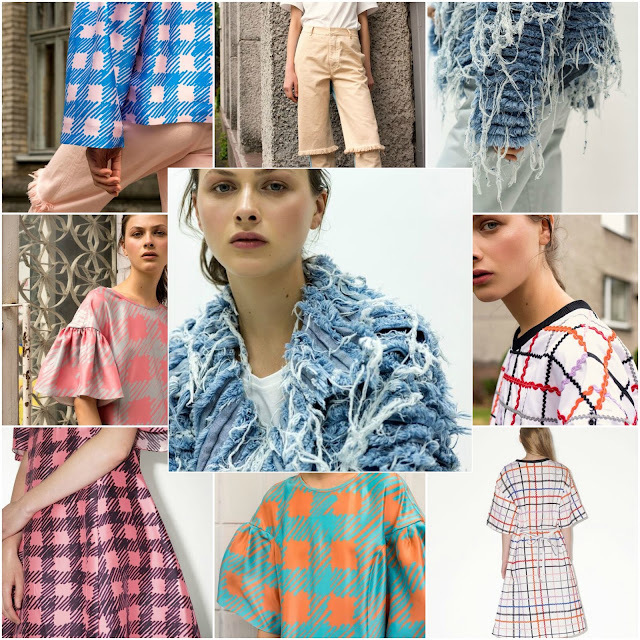 Ksenia Schnaider is one of my favorite designers/brands and previously I worked on her interviews and shared on this blog page and Korean magazines/press. 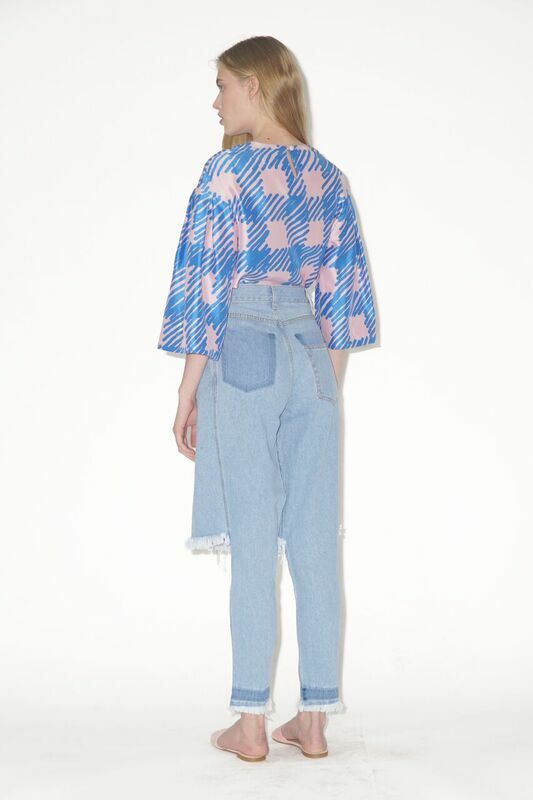 I am always amazed at her fun denim design and today I fell in love with the new technique called 'denim fur' and the pink checkered print dress. Notice those colorful braids, shoelaces and ribbons Ksenia used to make simple checkered print into something extraordinary. She knows how to make the pieces stand out by using colorful applications. Fur pieces are winter staples and the faux fur design is eco-friendly and more affordable than the real ones. 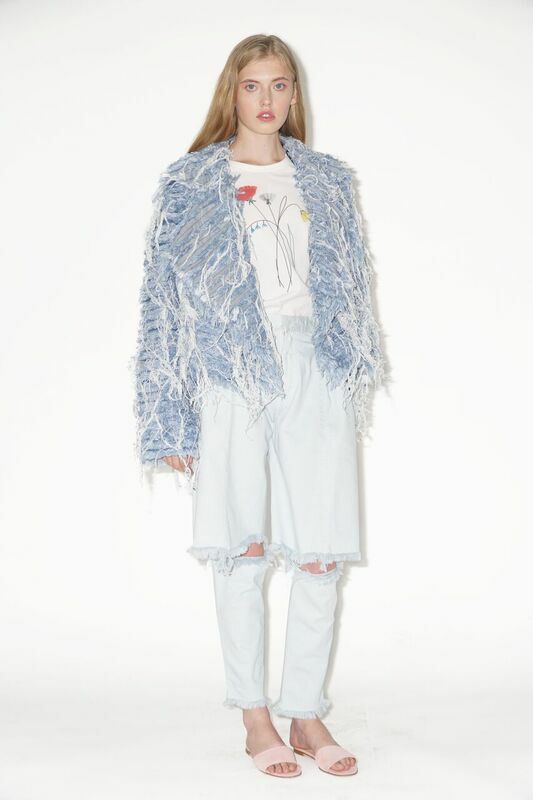 Ksenia created this unique technology inspired by the work at the studio in Kiev, where the floor was constantly covered in denim cuttings and the thick cotton threads. 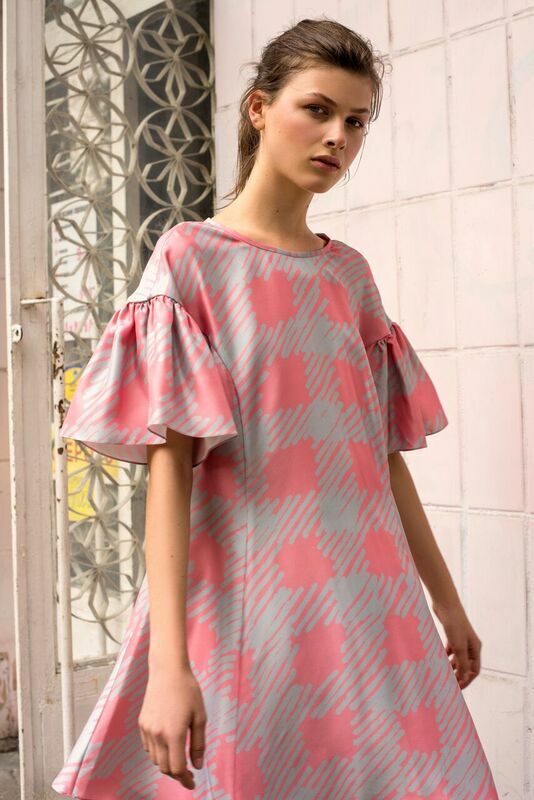 Anton Schnaider is always in charge of the prints in Ksenia Schnaider collections. He used markers to playfully draw his version of classic checkered print. Demi-Denims are a real hit in Ksenia Schnaider collections and I have seen so many fashionistas wearing one in streetstyle and in the magazine picks. This cruise 2018 collection has a colorful range by mainly using colors like pale lemon, dirty pink, greyish blue and desert sand. Some denims have mixed colors (different on the upper and bottom parts) and all the fabrics used are dyed as a special order exclusively for the Ksenia Schnaider collections. 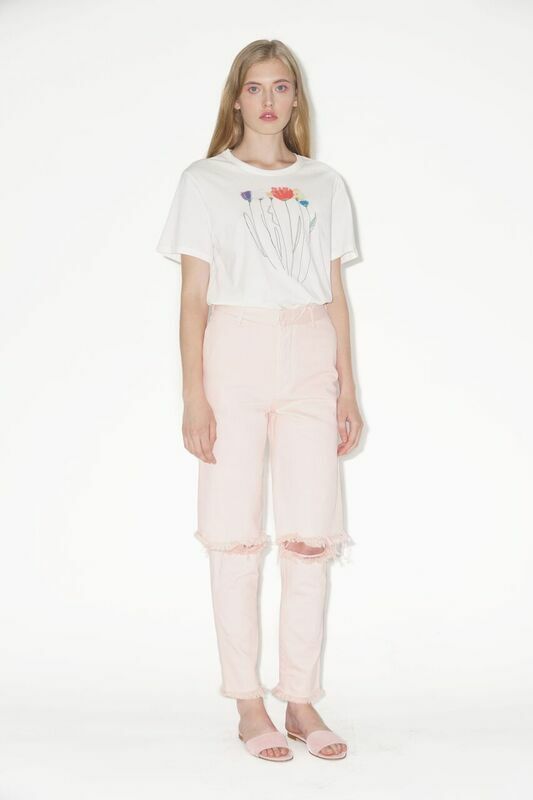 These t-shirts are one of a kind collaborated with an illustrator Dalyana Poborceva. No prints will appear twice and Dalyana spends just 3 minutes using her finger and iPhone Notes app to create new illustrations. I love the blue ruffled blazer and the colorful dresses. Started as a child model, actress, VJ, singer, and freelance editor So many things I want to do- self titled "Korea Fashion Muse"
*all photos are taken by me and/or with my camera. I always credit the sources for where it's not my work. I strongly believe in "ask before" you use my photos. Thanks for understanding.